Summer and winter fun at The Cirque. Modern kitchen with quartz counters and stainless sink. Cook your favorite meals in the modern clean kitchen. Seating for 3 more at the bar. You'll fall sound asleep in the super comfortable king bed. 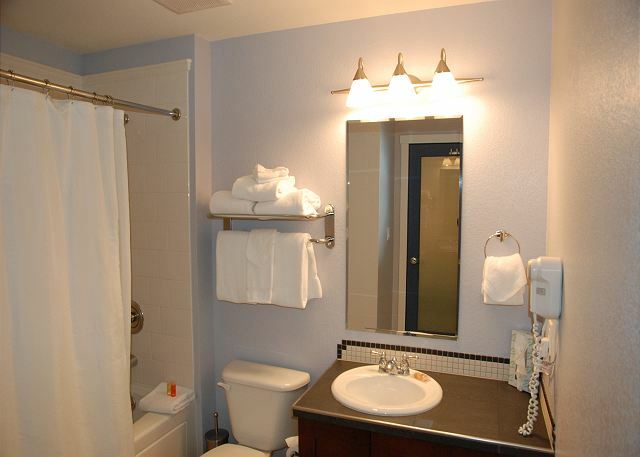 Get ready for your day in the spacious master bathroom. Two more can sleep in the den's sofa bed. Another flat screen TV in the den. Modern fixtures and plenty of light! Relax on the balcony and watch the courtyard activities. 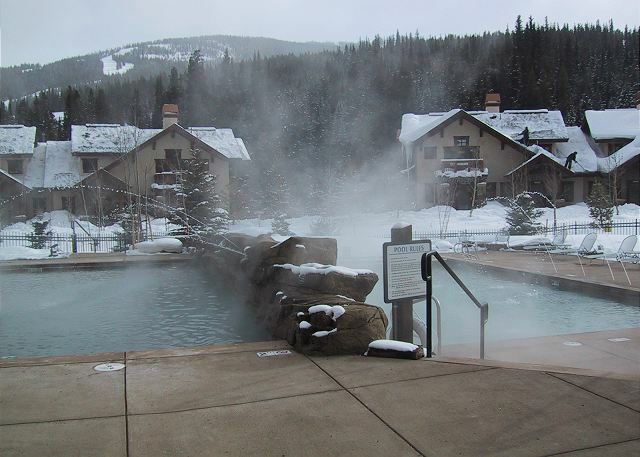 Heated outdoor soaking -- perfect for apres ski at The Cirque. A classic mountain lodge at Copper Mountain. The Cirque is one of the special new buildings at Copper, just a short walk from the bustling Center Village and with easy access to the revamped Union Creek area, with full ski school service and mountain access. 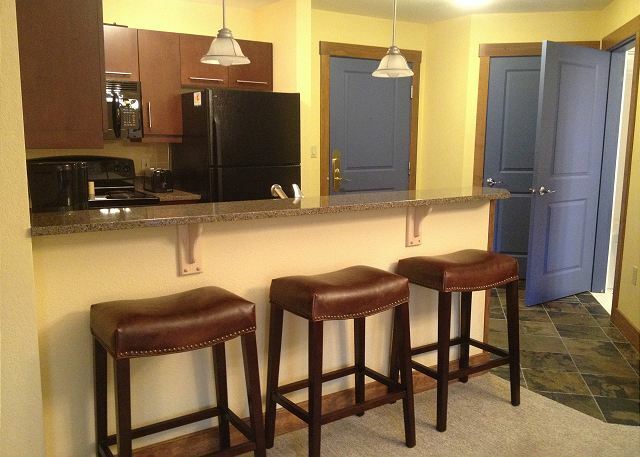 It's the only platinum-rated condo lodge at the resort, which means you'll be deep in the lap of luxury with spacious bedrooms, heated pools and hot tubs, free wifi, flatscreen TVs and modern kitchens. This second-floor one-bedroom plus den sleeps six comfortably. Two full bathrooms means there's never a wait for an apres-ski shower. 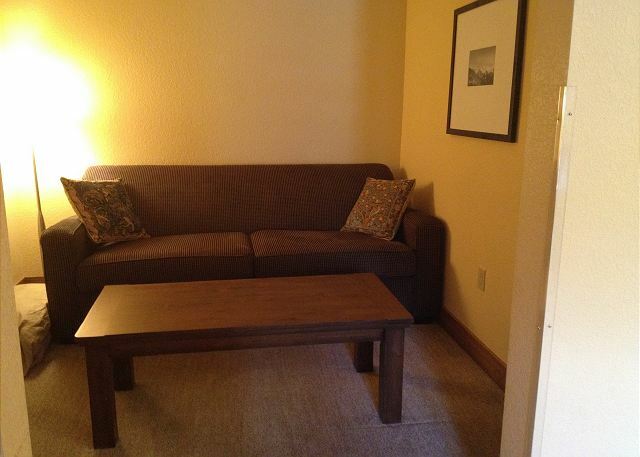 It sleeps the same number of guests as a two-bedroom The Cirque, yet it's a lower price. The master bedroom features a king bed and a TV/DVD combo, as well as a private bathroom with two sinks, a spa tub, and a separate shower. The second bathroom has a tub with shower as well as a closet with a free washer and dryer tucked in. 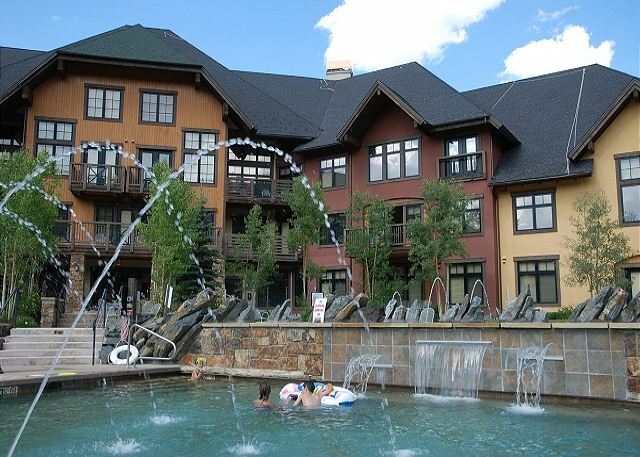 When you rent at the Cirque lodge, you’ll stay at the most upscale building at Copper Mountain Ski Resort. The Cirque is located in the West Village, a neighborhood of multi-million dollar single-family homes, so you know you’re in one of the most livable prime locations on the mountain. 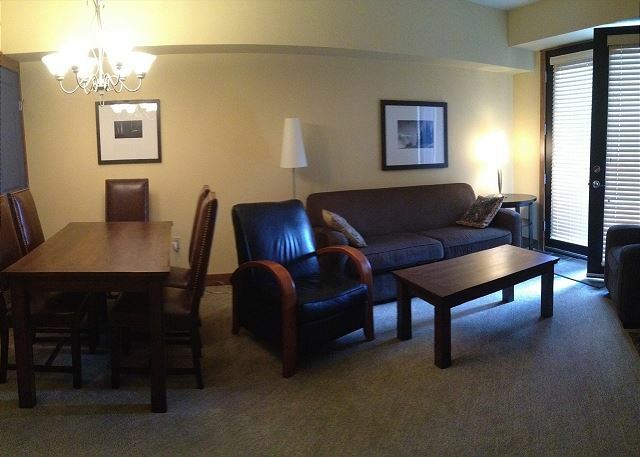 You'll find plenty of free underground parking and easy elevator access to the condo. On your way up or down, check out the common area, with a double-sided fireplace, wet bar, and lots of up-scale lounge furniture. From the lobby, you can use your key card to access a bright and modern fitness room. You’ll also have access to a media room with large TV and DVD and another bonus room where kids can play within your view, but out of earshot. A footpath leads from the courtyard to the Union Creek ski area where beginners can sign up for lessons and everyone can ski green beginner or blue intermediate runs. Leave the courtyard from a different gate and walk about 10 minutes to American Eagle and American Flyer lifts in the Center Village area where you can ski green, blue, and black runs. If you’d rather take a shuttle to your ski area, you can just walk under the copper-roofed portico and stand by a Copper Village Shuttle sign on the village road. The absolutely free shuttle runs often, and you just carry your skis on and ride to and from your stop. This open floor plan is sleekly decorated in French blue and yellow. You have a nice balcony right off the living area with superb mountain and courtyard views. 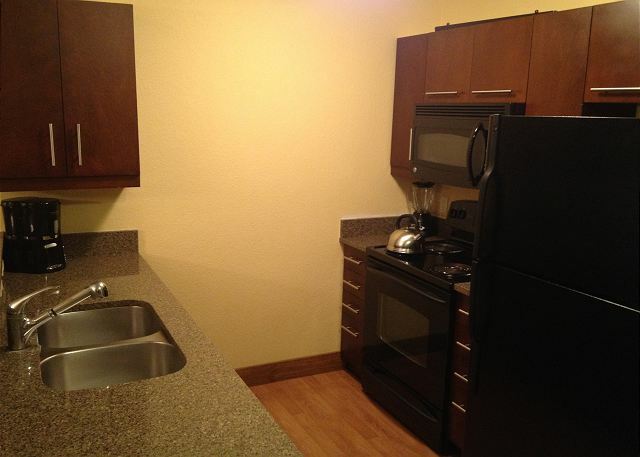 The kitchen is equipped with all the basic cooking and serving necessities for up to eight diners. Cooks will like being part of all the action and conversation while they work in the open-area floor plan. Great condo for our 6 pack. 2 adults + 4 kids. Clean condo, good size bathrooms, little tight family / dinning area but the balcony helped if you need some extra time alone. The pull out couches worked well. The heated pools and hot tub were amazing at the end of a long day. I was impressed with the kids room, movie room, gym, and outdoor fire pit. Easy walk up to Union Creek. Location to downtown was great! Comfortable accommodations. Check in was easy and quick. Everything as advertised!